Carrots and citrus fruits are arriving in the U.S. from Eretz Yisroel and are subject to the halachos applying to Israeli produce. As an example, Trader Joe’s is selling Israeli tangerines. Click here for instructions on the Star-K website. Biur Ma’aser is required this year for ma’aser in one’s possession. Click here to read about this Mitzvah on the Star-K website. Shemitta Wine – Any 2015 wine from Israel was produced from Shemitta produce. Due to lack of sales in Eretz Yisroel, a large stock of this wine has been sent to the U.S. within the past few weeks and is now being sold in many wine stores. There are a number of concerns with the way this wine has been handled, resulting in problems in consuming this wine. Each person should consult his Rav for guidance or choose a different wine. Rabbi Eidlitz and the KosherQuest family wish you a Chag Kosher V’Sameach. 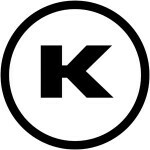 You can always keep track of the latest in Kosher on Kosherquest.org and subscribe for our weekly emails. Thank you so much for your continued support. Many Nespresso flavors are kosher for Pesach and year round. The following Kosher Check certified products, sold under the Trader Joe’s label bearing the BCK Symbol (our former Kosher Symbol, still in use by some companies) are acceptable for use on Pesach if purchased prior to the holiday. This year, Fox U-Bet Syrups will be available with the O/UP (for Pesach) certification. This product is pareve. Season, under O/U supervision, will carry Moroccan sardine items in various sauces for Pesach. All of these sardines are made with mashgiach temidi and bishul Yisroel. This year Manischewitz has introduced two versions of frozen gefilte fish under O/U supervision for Pesach. These are Premium Gold Fish Log and Premium Gold Pre-Sliced Frozen Gefilte Fish. Manischewitz has added two new baked goods items for Pesach this year – Ladyfinger Cookies and Birthday Cake Macaroons. Bernies foods, under O/U supervision, will carry Frankels Blintzes, waffles and Pizza as well as LeTova Kichel and “bread” sticks for Pesach. These products are NOT made with Matzo Meal. Yotvata brand, under O/U supervision, will carry provolone and pecorino cheeses for Pesach. This product is Cholov Yisroel. Barkanit brand, under O/U supervision, will carry Cholov Yisroel goat and sheep cheese for Peach this year. There are a few choices of Kosher L’Pesach Vodka this year. They are: David’s Harp, Royal Elite, Lvov (imported from Poland) and Pravda (imported from Poland), with an O/UP on the bottle. Kedem also has Fresh pressed grape juice as an O/UP Grape Juice without sulfites. Kedem will be introducing 2 new grape juice items: Sangria Grape Juice and Sangria Sparkling Grape Juice. This year, Pereg will be selling Quinoa Flour under O/U supervision for Pesach. is no longer certified by OK Kosher Certification. The O/U certifies Bianco Azzuro Moscato Wine. This product is labeled with a plain O/U and it is not certified for Passover. Even the bottles that have the letters “OUP” as part of the production code are NOT certified for Passover. Please be aware that the Manischewitz Concord Wine available at local BC Liquor stores is not certified Kosher for Passover. Manischewitz makes wine special for Pesach with an O/U-P n the label and their year-round label states “not for Passover use” as it contains Kitniyot. Some Year-round O/U certified products may have Passover certification from an agency other than the O/U. Please note that the O/U does not stand behind the Passover certification from other agencies as it may not meet the O/U’s standards. O/U Passover certification may have O/UP or Kosher for Passover ink-jetted on the Year-round version of the product. In addition, O/UP or O/U Kosher for Passover stickers are only authorized when they bear the company or the brand name of the product. Stores or distributors have been known to place Kosher for Passover stickers on products which were not manufactured with Passover standards.